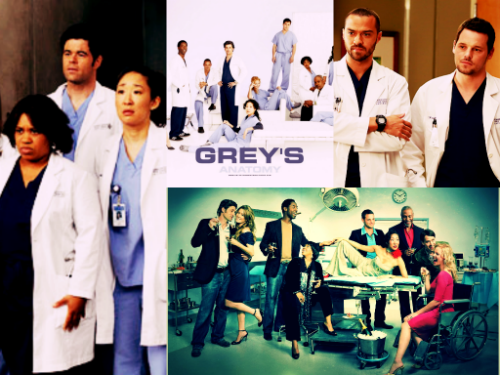 Grey’s Anatomy is coming back Thursday night with its spring premiere after its midseason finale. Fans were left with a huge romantic cliffhanger when Jackson (Jesse Williams) confessed his love to April (Sarah Drew) during her wedding! The new episode will pick up right from where it left off and we hear it’s going to turn ugly! The aftermath of Jackson’s declaration is obviously not going to be great and the impact that it will have on April and Jackson’s fiancée and girlfriend is going to be a tough one. April will hesitate before giving Jackson an answer which might just end up ruining her wedding even further and there is a possibility that the wedding will be called off. Derek (Patrick Dempsey) received a call from the President! It will lead him to break the promise he made to Meredith (Ellen Pompeo). He had promised her that he would look after their daughter while she focused more on her work. It is reported that Derek will be working at a new office; his BMI (Brain Mapping Institute) office. What we do know is that Grey’s Anatomy just recently got a new set which will impact one of the show’s most central couple. This all seems to point towards Meredith and Derek. Alex’s (Justin Chambers) dad is alive. Shane (Gaius Charles) nearly killed him which Alex is not going to take too kind to. Alex and Jo (Camilla Luddington) will have a cold war going on with Shane. Alex will at one point attack Shane in the hospital. Alex’s mother also shows up at the hospital sometime later under false pretenses. Arizona (Jessica Capshaw) and Callie (Sara Ramirez) will decide very early on whether or not to move forward together. The duo will have a major fight. One of the promos shows Arizona screaming at Callie that it’s not working. There are speculations as to whether or not this is the couple that will be affected majorly by the set change. We will have to wait and see. Grey’s Anatomy will return with lots of plot twists and turns so stay tuned. Let us know what you think about the upcoming twists in the comment section below and stay tuned to Fuze!